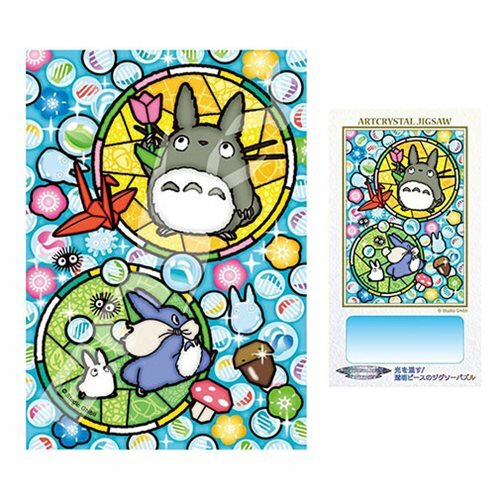 From the hit Studio Ghibli film My Neighbor Totoro comes the My Neighbor Totoro Totoro and Glassy Marbles Artcrystal Puzzle. Artcrystal puzzles are made of sturdy transparent material that lets light through. This puzzle is colorful and features origami cranes, glassy marbles, and all three Totoros. Makes a great gift for Studio Ghibli fans. The puzzle has 126 pieces. When assembled measures about 5 4/5-inches tall x 4-inches wide.